While well on it's way to being a modern neighbourhood, Danforth East still has those original hallmarks of what makes a great community: a butcher for fresh meat, a baker for fresh bread and although we do not have a candlemaker, we do have an honest-to-goodness cobbler. Located at the north-east corner of Monarch Park and Danforth, you may recognize this non-descript shoe repair shop as the window with all the old shoes piled up in it (right next to Sam's barber shop). It's musty and small, and a throwback to an early era on Danforth, but well worth checking it out. The other day, Pioneer dropped off a pair of high-heeled boots that were potentially broken beyond repair. We could have hugged the gentleman behind the counter, who gave us a positive shoe diagnoses: our precious footwear had a broken shank and for $20 he would replace it and give the boots new rubber soles as well. Although it took a week to get them back, when I did have them in hand, they were fixed to perfection with no sign of any tampering. 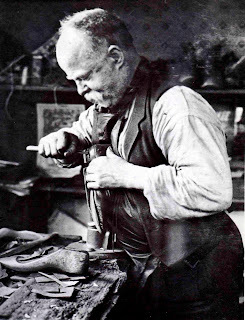 Pioneer gives this one a big thumbs up for local footwear repair and for deals you don't have to leave the neighbourhood for! Firstly, congratulations to new Danforth East councillors Mary Margaret McMahon (Ward32) and Mary Fragedakis (Ward 29). Encumbents Janet Davis (Ward 31) and Paula Fletcher (Ward 30) both remain on council to continue their good work. Both of the latter have worked hard to shape the new Danforth East, and it will be exciting to see what this group of four passionate women will be able to do for our 'hood in the upcoming term. It’s the day after Halloween and the costumes have been put away, the makeup has been stashed, now what do you do with your beautiful, hand-carved jack-o-lantern? Don’t throw it away. Bring it to East Lynn Park and join the Danforth East Community Association for the first annual Pumpkin Parade on November 1st at 6:30 p.m.
At dusk, the park will be lined with beautiful candle-lit pumpkins for everyone to enjoy. DECA is asking participants to bring their own candles with them. 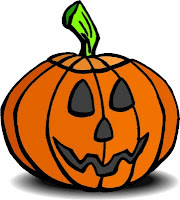 DECA volunteers will be on hand to assist in lighting the pumpkins. Participants will be able to leave their pumpkins at East Lynn Park to be collected by the City of Toronto. Last night was a hot night in the east end. Wards 30 and 32 held an all-candidates debate, both of which were packed with east-enders prepped to ask only the most contentious questions. East End Pioneer can't possibly stay non-partisan in this race, so rather than give a blow by blow, I will direct all of you to twitter, where you can read the live-tweeting that happened throughout both debates by some of our passionate local residents. East End Pioneer was on an extended summer vacation for the past few months, but there is just so much going on in the neighbourhood, that we couldn't resist some new posts. First and foremost, election day is coming up and the neighbourhood is buzzing. Danforth East covers four wards: 29, 30, 31 and 32. Check out www.insidetorontovotes.ca for more info on which ward you are in. For those in Ward 32, one of the most contested wards in the city, there is an all candidates debate tomorrow night (Tuesday, October 19) at Kimbourne Park United Church at 7 p.m. Incumbent councillor Bussin will defend her reigning title, on a variety of issues. Secondly, over on Deca Diaries, another Danforth Gem has been uncovered. Please click here to read the great review of new Emerald Restaurant at Danforth and Woodbine, which apparently has "the best" chicken tikka masala this side of Gerrard.